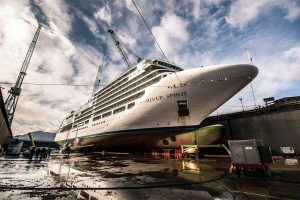 Welcome aboard the Silver Spirit, fresh from one of the most spectacular renovations in luxury cruise ship history. I think the hyperbole is warranted. Silver Spirit entered a drydock in Palermo at the start of March as a handsome ship of 195.8 meters (642.4 feet), and emerged in early May stretching 210.7 meters (691 feet). How did they do that? It was not a stretch but rather a matter of cutting and pasting. 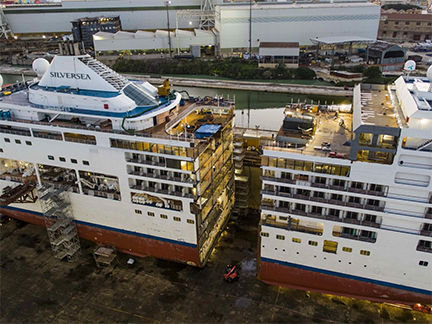 Shipyard workers cut the ship into two pieces in the drydock and then carefully maneuvered a 15-meter or 49-foot-long new section into place. There followed weeks of welding, reattachment of cables and pipes, and a stem-to-stern refresh of the interior decor and amenities. All this for a ship that before the operation was already one of the most luxurious and attractive vessels in service, first put into service in 2009. 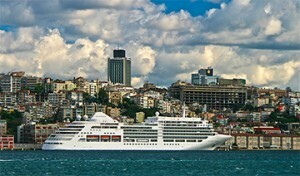 Silver Spirit now has 34 more suites, several more restaurants, a larger pool and spa. 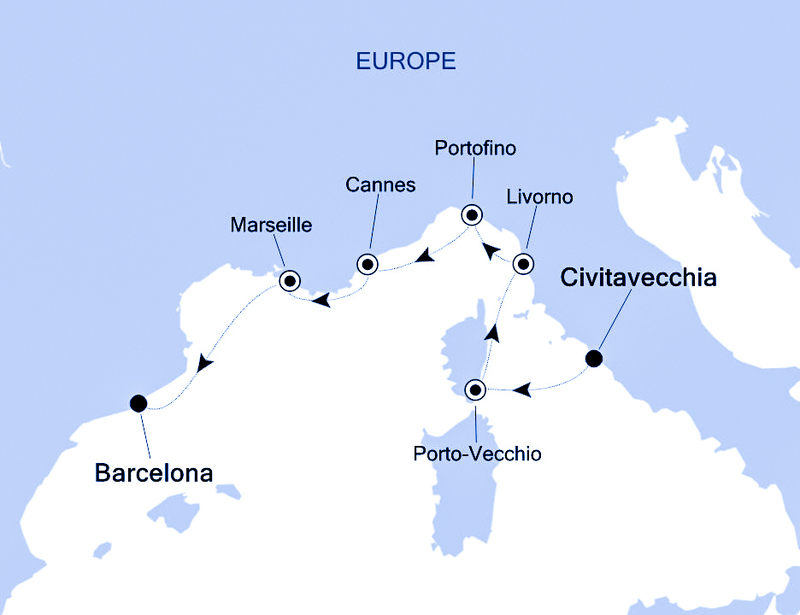 And later today, we sail will from Civitavecchia, the port of Rome, on her first cruise in her new configuration. 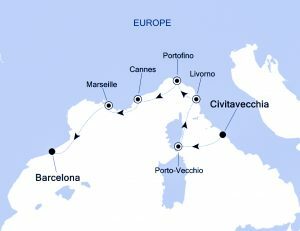 We’ll cross over to Porto-Vecchio on the island of Corsica, then back to the mainland of Italy for Livorno and Portofino. From there to Cannes and Marseille, France and in a week’s time pull into a 49-foot-longer parking space in Barcelona. I hope you’ll join me here for details.